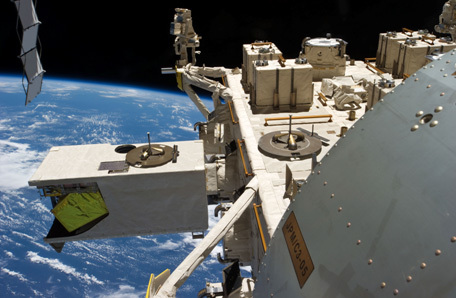 CATS, the Cloud Aerosol Transport System, is a remote sensing instrument planned to operate from the Japanese Experiment Module’s Exposed Facility aboard the International Space Station. Using a LIDAR (Light Detection and Ranging) instrument that employs Doppler LIDAR and High Spectral Resolution LIDAR, CATS will deliver measurements of atmospheric clouds and aerosols. The measurements are of importance because aerosols such as dust, smoke and other pollution and their impact on energy balance and climate feedback are mostly unknown. Understanding cloud and aerosol coverage on a global scale is critical for gaining insight into the role of aerosols in the Earth system and climate feedback processes. One major objective of aerosol monitoring missions is to measure vertical profiles to be able to differentiate between human-made aerosols (pollution) and natural aerosols (dust, desert sand). 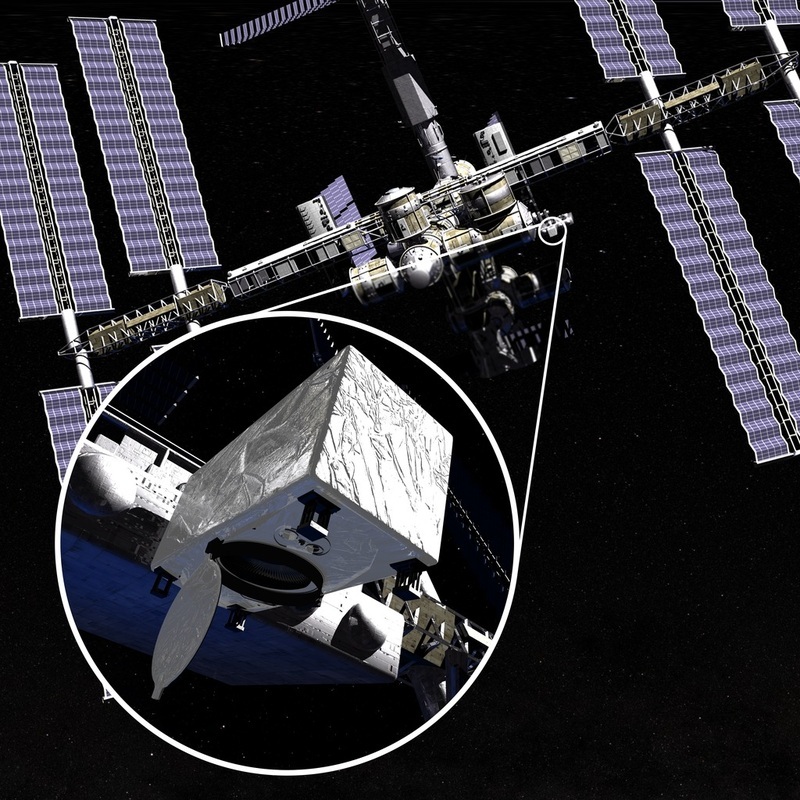 The CATS project provides a combination of long-term operational science, in-space technology demonstration, and risk reduction for future Earth science missions. CATS will continue the aerosol and cloud profile data record of the CALIPSO mission that launched in 2006 atop a Delta II rocket and CATS builds a bridge to the EarthCARE mission. 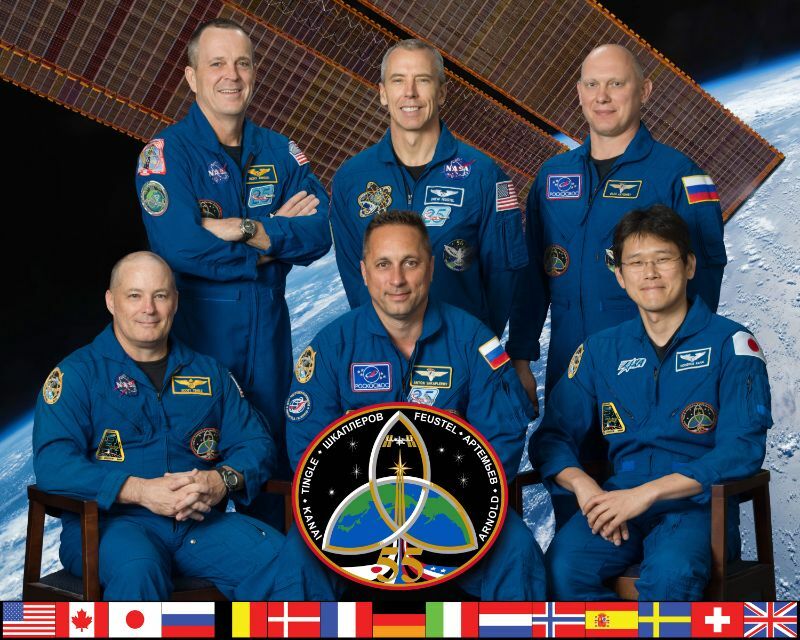 Additionally, CATS will make use of near-real time data capability through the ISS communications system to allow for air quality and special event monitoring in real time. Data delivered by CATS finds application in strategic and hazard-warning capabilities of different events in real time such as the tracking of dust storms, volcanic plumes and wildfires. CATS data is also expected to be useful in climate research to help improve models to understand the effects of clouds and aerosols on Earth’s energy balance and overall climate progression. ISS is a suitable platform for an aerosol-studying instrument since it provides coverage of all primary aerosol sources and transport paths. The evolution of the ISS orbit over time allows the study of diurnal variations of aerosol and cloud abundance which is not possible with most remote sensing satellites that use sun-synchronous orbits, passing over a given location at the same local time every day. 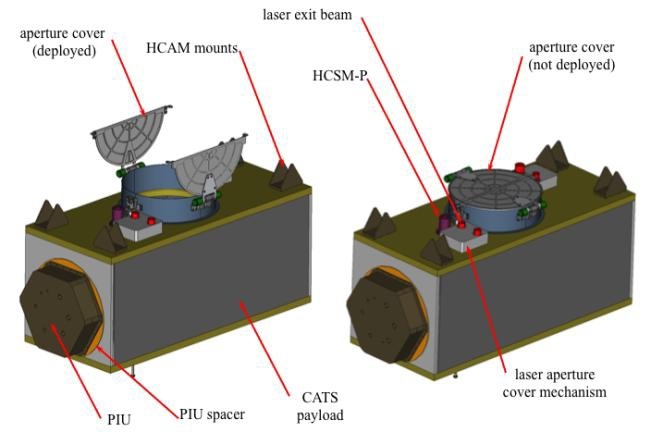 CATS is a LIDAR that uses lasers at three different wavelengths (1064, 562, 355 nm) and a telescope that records the backscatter of light caused by atmospheric aerosols. High Spectral Resolution LIDAR capability exists at the 532nm wavelength and depolarization measurements can be made at all three wavelengths. CATS delivers range-resolved profile measurements of atmospheric aerosol and cloud distributions and properties at the three wavelengths. Measurements provided through data analysis include layer height and thickness, backscatter, optical depth, extinction, depolarization, and discrimination of aerosol type and cloud phase. A total of six operating modes are available for CATS. The CATS payload consists of a box-shaped structure with a 60-centimeter telescope in the center and two laser sources to either side of the telescope. Overall, CATS measures 1.5 by 1.0 by 0.8 meters in size weighing slightly less than 500 Kilograms. 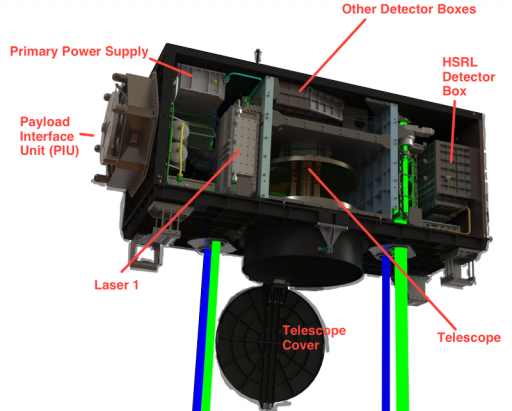 The telescope and the lasers are protected by movable aperture covers. 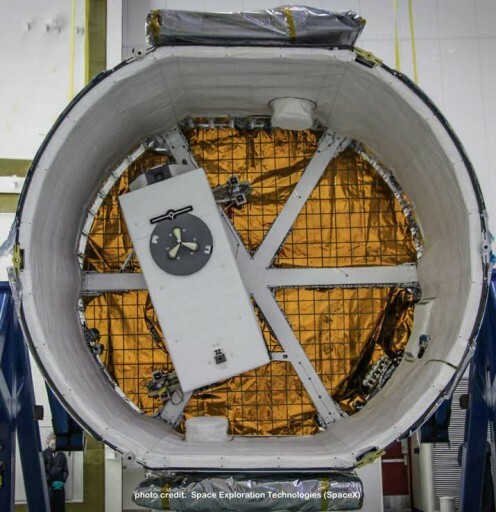 CATS also includes all necessary electronics and drive mechanisms to operate with power, data and cooling connections facilitated within the Payload Interface Unit that attaches the payload to the JEM Exposed Facility. The difference between CATS and previously used LIDAR systems is the use of a Fabry-Perot interferometer in the receiver system. The Fabry-Pérot-Etalon is comprised of an optical resonator consisting of a single plate with two parallel reflecting surfaces. Light passing into the instrument can only pass through the system when its wavelength corresponds to the resonances of the etalon that creates a narrow-band spectrum on the focal plane that is precisely tuned to the CATS wavelengths in order to create a high-resolution spectrum of the Doppler shift inherent in the backscattered signal. The two Fibertek lasers operate at the 355 (UV), 532 (Green) and 1064 (IR) nanometer wavelengths with a Pulse Repetition Frequency of 4 to 5 kHz. Laser 1 operates in a single science mode only while laser 2 has three internal configurations and supports the remaining science modes that feature different Fields of View to which the beam is directed. 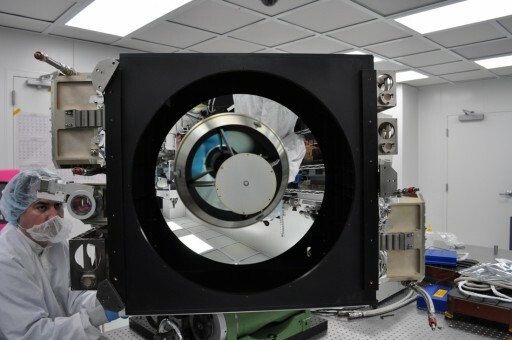 Operating at least two wavelengths at the same time allows scientists to characterize the type of aerosol in addition to its layer height and thickness since substances reflect light at different wavelengths in different intensities. The standard science mode uses Laser 1 observing a Right and Left Field of View each 0.5 degrees off nadir, creating a separation between the two beams of about 7 Kilometers. Each laser beam creates a ground swath that is just 14.8 meters wide. Science mode 1 uses the 1064 and 532 nm laser for backscatter and depolarization measurements on both channels providing a capability that exceeds that currently available via CALIPSO. The baseline science mode operates at a Pulse Repetition Rate of 5kHz while all other modes operate at 4kHz. Nominal energy per pulse is 1.3mJ for Science Mode 1 with pulse widths of 45 nanoseconds on the 532nm channel and 9ns on the IR channel. The science modes 4, 5, 6 are considered backup modes for the primary science mode since they use the second laser of the system looking at one Field of View – forward, left, or right. Operating at 4kHz, all three science modes use a pulse energy of 1.1mJ at 532 and 1.7mJ at 1064 and pulse widths of 4.4 and 10.9 nanoseconds, respectively. Science Mode 2 introduces High Spectral Resolution LIDAR on the 532nm channel plus 1064 and 532 nm backscatter measurements and depolarization measurements using the 1064nm channel. An increased pulse energy of 2.7mJ on the 532nm channel and 2.5mJ on the 1064nm channel are used while pulse widths are kept at 4.4 and 10.9ns. Science Mode 2 uses only the Aft Field of View. Science Mode 3 employs THG (Third Harmonic Generation) to emit laser pulses at the 355nm frequency as an experimental science sequence that uses all three channels for backscatter and depolarization measurements. It is hoped that this mode will provide improved measurements of fine aerosols. This science mode uses the Forward Field of View and the standard 1.1 and 1.7mJ pulse energies on the 532 and 1064 nm channels and the standard pulse widths of 4.4 and 10.9 ns. The 355nm channel operates at a pulse width of 4.4ns and a total pulse energy of 2.1mJ. The telescope registers light scatter relative to the time of each pulse, thus delivering a vertical profile. Using a 5kHz Pulse Repetition Rate means that pulses are separated by 60 Kilometers (traveling at the speed of light). 250 shots are summed up onboard, creating a 350-meter horizontal resolution. Overlap between two subsequent pulses in the <28-Kilometer region will be addressed in CATS data processing. 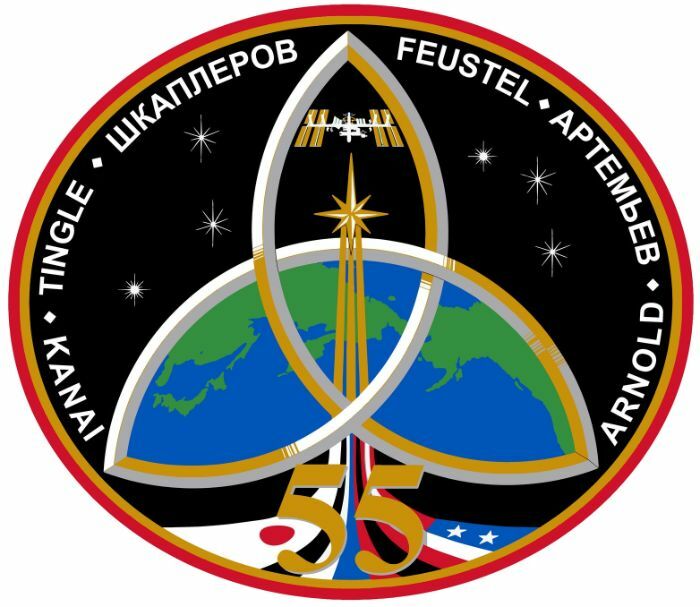 CATS delivers its Raw Science Data to ISS via a high data rate connection before data is downlinked via TDRSS to be received at the Payload Operations Center that relays the data to the CATS Processing Center that completes automatic data processing and storage. 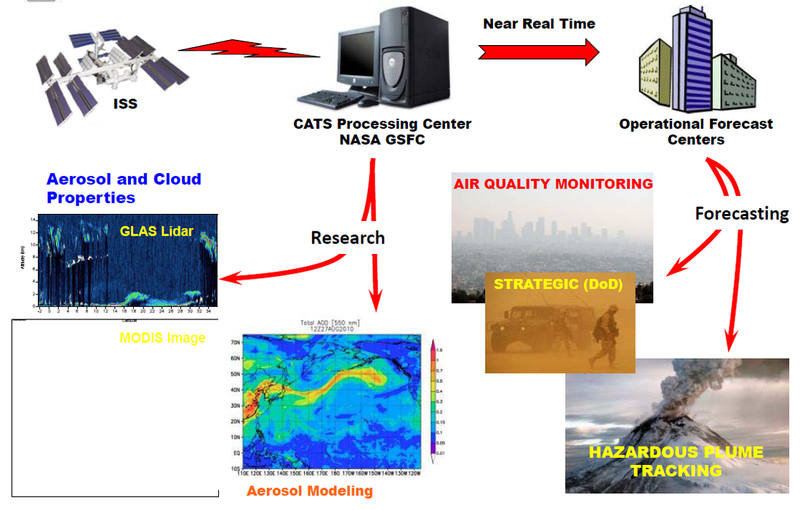 CATS data is stored for research applications while a real time data stream is provided to Operational Forecast Center for real time air quality monitoring, hazardous plume tracking (volcanic ash in aviation) and strategic applications by the military.